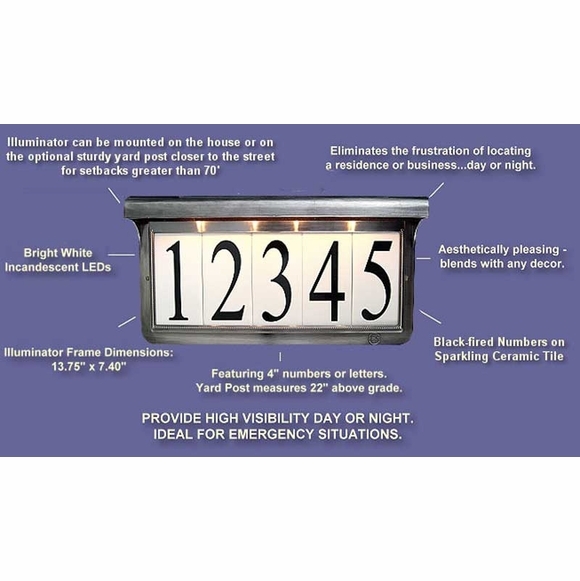 Custom Solar House Number Sign - - wall mount solar address plaque holds up to five individual numbers or letters. Made in the USA. Includes detached solar collector with 25' of wire for remote placement. When fully charged, the solar batteries will operate the illuminator for up to 14 hours. In general, 1 hour of sun equals 1 hour of run time for the sign. High-capacity nickel hydride batteries last up to 3 years. 4" black-fired numbers or letters. 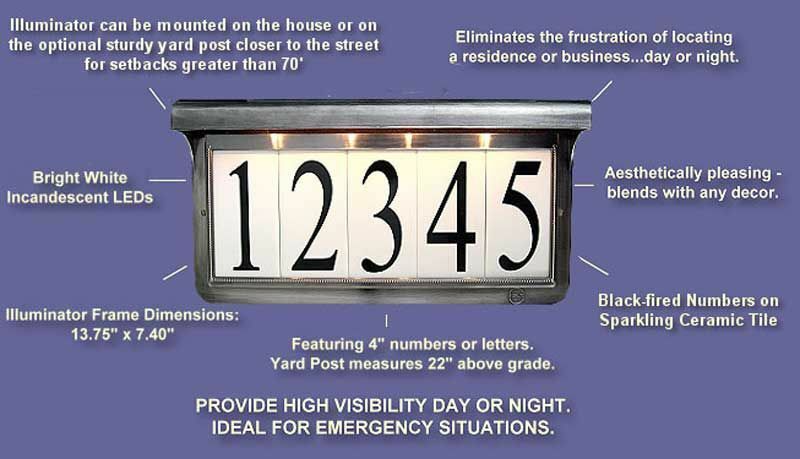 Illuminated house numbers provide high visibility day or night. Weather-resistant die-cast aluminum frame finished in durable powder coat or plated. Five frame finishes: pewter plate (large image), bronze plate, gray powder-coat paint, white powder-coat paint, or black powder-coat paint. Plated finishes will patina but not rust, chip, crack, or peel. Select either sparkling ceramic tiles or crackled-finish tiles. Sparkling ceramic tiles are shown in all images above except for the image labeled "crackled tile." 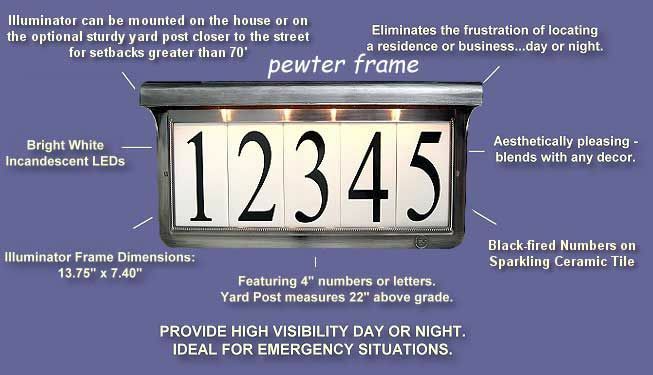 Comfort House also sells a post mount solar address plaque. Solar light does not adequately light the sign. Silver color around the edges is already chipping after just a week of install.